If you’re looking for a broad selection of bathroom remodeling products, visit ProSource® of Baton Rouge. Looking for a bathroom sink, shower, or perhaps a new toilet? We can help. Our showroom only offer high-quality products at low, wholesale prices, along with personalized service tailored to your needs. The bathroom is one of the more popular rooms in any house. 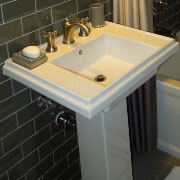 When it comes to a bathroom remodel project, you want to focus on the bathroom sink. It’s frequent use and attention drawing ability makes it an important feature in any bathroom. Options abound in the way of size, style, color and more. 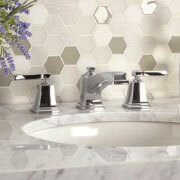 Once you choose a sink, you’re going to want to find the best bathroom faucet. Whether you want a classic look and function, or a modern style with high-tech function, our Baton Rouge experts can help you find the perfect choice. Shower remodels are common bathroom projects in almost any home. A well designed and functional shower can be just the upgrade your bathroom project needs. 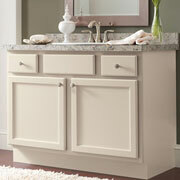 Can’t seem to find any extra bathroom storage for your remodel? Give a bathroom vanity a try. It offers the extra storage space and counter space that’s so often sought. The standard bathtub or the jacuzzi tub? It’s all about preference when it comes to a remodel involving a bathtub. 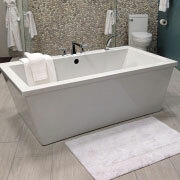 We have a wide variety of tub options to choose from based on style, design, and function. 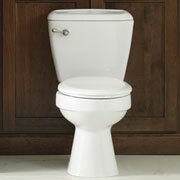 During your bathroom remodel, encourage finding a new toilet to add to the project.. Whether you want an eco-friendly toilet or a standard porcelain throne, we can help. We proudly serve Baton Rouge, Gonzales, Denham Springs, Lafayette, and Zachary, Louisiana, including the surrounding areas. The ProSource of Baton Rouge showroom is conveniently located in Baton Rouge, Louisiana and serves all of the neighboring cities including Addis, Akers, Albany, Amite, Angola, Baker, Batchelor, Baton Rouge, Brusly, Centreville, Clinton, Crosby, Denham Springs, Erwinville, Ethel, Fluker, Fordoche, French Settlement, Glynn, Greensburg, Greenwell Springs, Grosse Tete, Hammond, Hester, Holden, Independence, Innis, Jackson, Jarreau, Kentwood, Lakeland, Lettsworth, Livingston, Livonia, Lottie, Maringouin, Morganza Natalbany, New Roads, Norwood, Oscar, Pine Grove, Plaquemine, Port Allen, Pride, Rosedale, Roseland, Rougon, Saint Francisville, Simmesport, Slaughter, Springfield, Tangipahoa, Tickfaw, Tunica, Ventress, Wakefield, Walker, Watson, Weyanoke, Wilson, Woodville and Zachary.